Want to increase AdSense CPC and make more money? AdSense optimization is the solution for this. 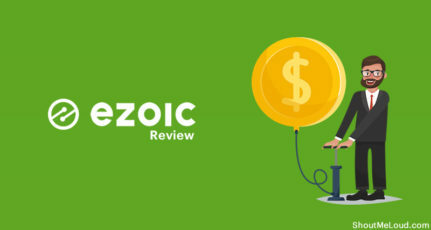 You can either use a free tool like Ezoic to run your ads or can also do manual work by following my tips before. 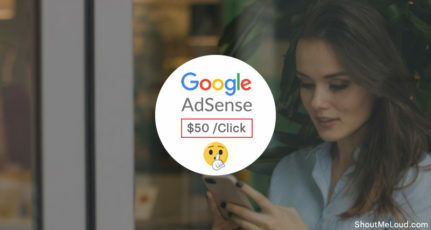 When we talk about Adsense optimization, there are many things, but the main target is to get high eCPM and get more Cost per click. Else, despite of good AdSense CTR, you might not be making good money. This is something familiar about the non-English blog. 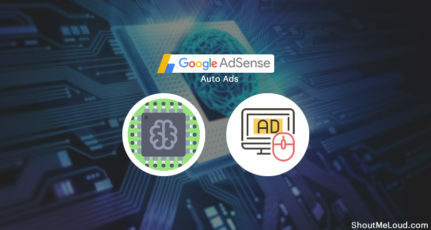 If you fall in the category of those AdSense publishers, who are getting huge traffic but Adsense earning is still low, it’s time to understand points which are mentioned below, and this will surely help to increase Adsense CPC and overall revenue. Let’s start with answering the basic question first and then we will move to some working tips to increase AdSense CPC. CPC stands for Cost per click, in short money which you make/click is what CPC. Now, you might have noticed Adsense publisher talking more about CTR and less about CPC. If you are really serious about your Adsense revenue, you should, work more on CPC than CTR. Getting thousands impression on your ad won’t be of much help but a blog with good CPC with decent CTR can create a huge difference. CPC has nothing to do directly with your traffic, if you would realize and noticed micro-niche blogs, you might have realized despite of less traffic such sites make more money from Adsense. Reason is simple and that is eCPM for such blogs are so high that you get paid really well for CPC and then there are other factors like Ad competition, Keywords and many more. First thing first, choosing a right niche for your blog or website is of utmost importance. Cost Per Click or CPC of an ad directly depends upon the topic on which you’re writing your blog. Well! 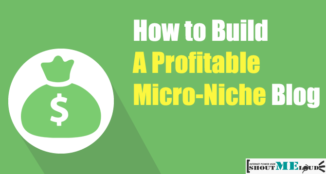 Let me clarify one thing here that you’re going to choose niche however there are niches that can pay you high CPC. Here is the list of niches that can give you high return, I have arranged them in decreasing order of CPC. Dating & Romance – It pays lowest CPC. Second thing is the content, you must write content that should answer readers query. So before writing blogs try to find what your readers are searching on the Internet and then try to present them with solutions. Remember you should always directly engage with your readers. Your content must be tailored according to your niche so that more and more readers can read your blogs. Hence good content will certainly ensure higher Adsense CPC rates. Moreover, Good content is what search engine loves, hence more click and more revenue if your ad is highly targeted and your traffic is from the countries like U.S.A, U.K. When you do a Keyword research, make sure to use Approximate CPC column. In Google AdSense you will find Allow block ads. You can go there and see yourself how much each ad category is paying you. This will show you different ads category that are showing on your website. If you find that any ad category is not paying much then feel free to block that category. Try to block those categories which are completely irrelevant to the content or niche of your blog. Suppose blog is about Technology then block the ad categories for Dating, Politics, Religion etc. 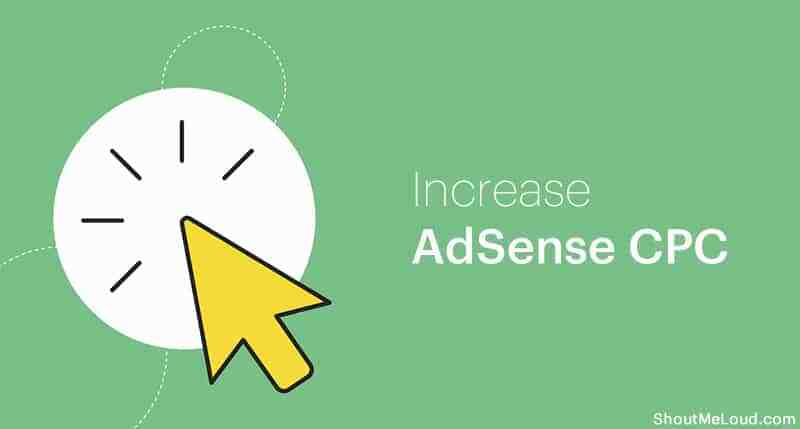 This will surely increase your AdSense CPC. Your blogs are read from different platforms like desktop, laptop, mobile etc. Although CPC is generally not much affected by the platforms on which ads are shown but you should try your best to target as many as readers. You will get most of the readers from desktop and laptop devices. If you are able to reach to hand-held or mobile readers than CPC may increase as ads shown on cellphones are of higher quality. If you are blogging on WordPress platform, you can use any of these plugins to make your blog mobile friendly, and you serve AdSense ads which are optimized for mobile screen size. One of the most important factor that can increase CPC is the country you are targeting. For example a click on an ad from USA can pay you up to $2 to $3 and click on same ad from India can end up paying only 20 to 30 cents. Hence, always tailor your blog and its content to audiences in English-speaking countries. It will also increase Page Rank of your website. So always keep in mind the country you are targeting. Perhaps I should have explained this suggestion in the beginning of the blog. Anyhow, you must know to choose right format for your ad. If you can place three ads on a page then choose two 336 X 280 ads and one 468 X 60 ad. Then ad format must be text because text ads have higher CTR (click through rate). You can even try ad format for both text & image simultaneously as it gives you more CPC. Image ads are usually less preferred for both reasons less CTR and lower CPC. Though at times, depending upon the niche and blog type, image ads perform better in terms of higher CTR but CPC won’t be as good as text ads. Anyways, as I mentioned above it differs from niche type and most important ad placement. Never neglect the placement of your ads on the web page as it is directly proportional to your Adsense revenue. So where to place ads for maximum CPC? Answer is simple. Place 2 ads inside your blog post and 1 outside the post.As far as placing inside goes then place one 336 X 280 rectangle ad on the top of the blog just below the title and place second 468 X 60 ad in between the blog post. Remaining one ad you can place on your right side that is outside your post. Though it should be your choice and depending upon your reason of blogging. For example, if you are a professional blogger and dependent on Adsense, you should not miss a chance to optimize ad and use maximum possible ad units on a single page. Though if you are a hobby blogger or blogging on personal blog, your first target should be giving quality content and less ads, as readers hate advertisement which distract them from reading. Let me tell you the maximum clicks and higher CPC will come from 2 ads which are inside the blog post especially on the top. Always keep trying something new. Experimenting can really pay you high dividends. 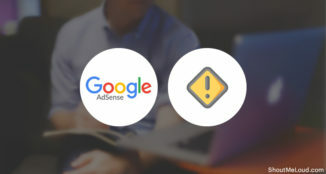 You can try out for different niches, choose different ad placements and finally take as many as advice from Google Adsense center. Never bogged down into one style always try something new. In conclusion I would only say if you follow and implement these 10 tips then you can surely increase your AdSense revenue from 30% to 40%. It is completely legal and genuine way to increase your earning in a short time. You can also search for highest CPC AdSense Keywords and compile one-two posts around it. 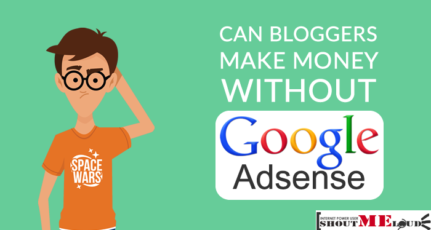 Can you make money without Google AdSense? Do let me know what’s one trick which worked for you to increase Adsense CPC? Do you believe niche and traffic from certain countries creates a huge difference in Adsense earning? I am an IT professional and a writer who likes to know more about technology. Follow my blog daily to get my analysis on things happening in the world of technology. what about link ads? should we use them or not? and we should use them then to which extent? Adsense Optimization is quite fascinating for me. If we focus on conversion rate optimization along with SEO, I think in less time we can enhance revenue generating potential of our web-marketing efforts. This article has compelled me to re-think over my monetization strategy. 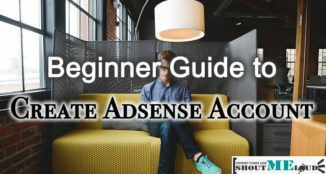 Great article with useful tips to get more adsense earning. You have also added links to learn more about adsense tactics. Thanks a lot for this wonderful job! Pritam Nagrale. Thanks Pritam for valuable tips. Best way to increase Adsense revenue is to write articles on high CPC keywords but such articles will not appear in organic search because of high competition. Can we drive traffic through low competition keywords to blog and include high paying keywords link within article? (of course low and high CPC keywords from same niche) So that visitors would click on high paying keywords link and redirect to high CPC article within blog. I would appreciate if someone give inputs on above . I always know that GOogle adsense optimization is very important to earn from blogging. But it is very risky to use 336*280 at the top of blog post because it distracts reader attraction. So I always keep 468*60 at the top. hi i am getting only .03$ cpc from indian traffic ,can you review my blog and tell me how to increase it .